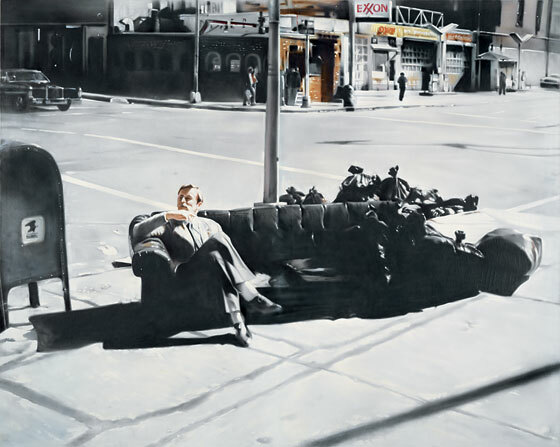 Martin Kippenberger – Spiderman Studio (1996) at MoMA. Photo (c) Jason Mandella. 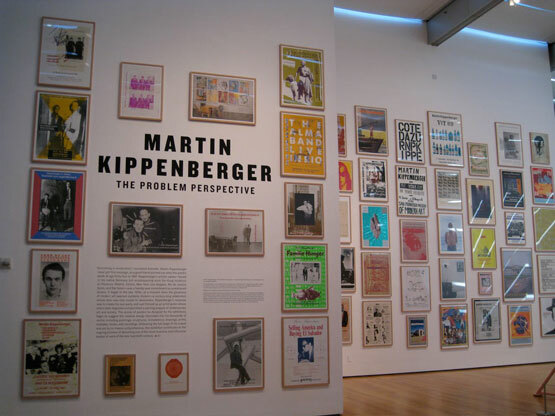 Twelve years after his death at age 44, Martin Kippenberger collectors and fans can rest easy knowing his prolific work is well-represented in MoMA’s retrospective exhibition, organized by Ann Goldstein of the Museum of Contemporary Art in Los Angeles and Ann Temkin, MoMA’s chief curator of painting and sculpture. 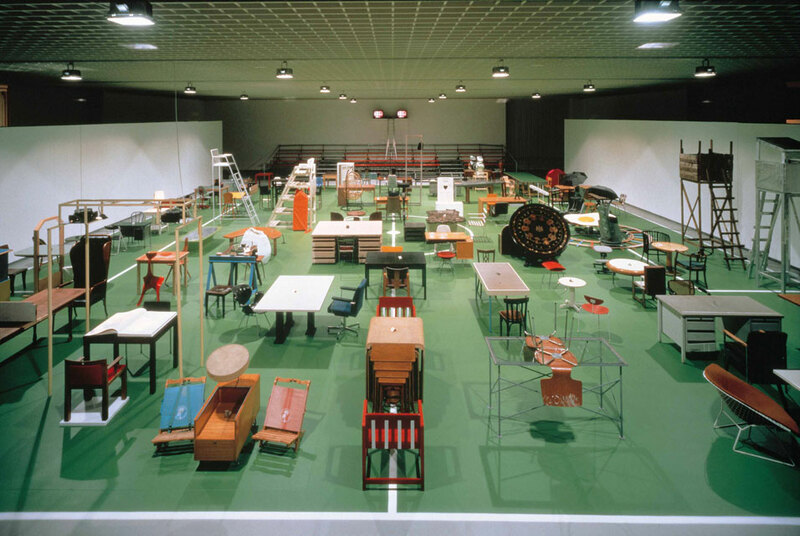 The German artist, known for his hard living, experimentation, disobedience, and loyalty, managed to amass an astounding amount of work in relatively short career, including paintings, photographs, posters, books, music, and installation work. 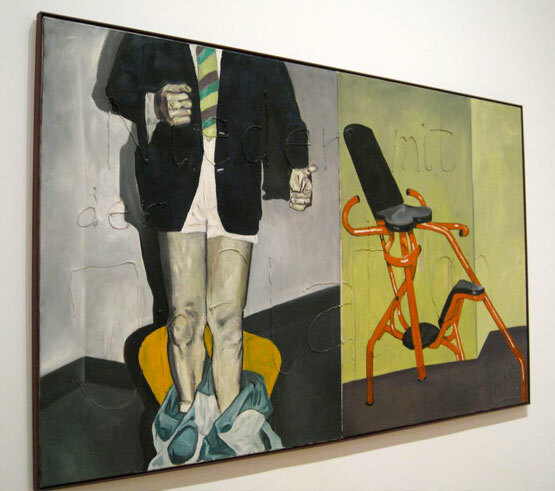 Martin Kippenberger – Untitled (1981) at MoMA. Courtesy of MoMA. Martin Kippenberger – Down with Inflation (1984) at MoMA. Via New York Social Diary. 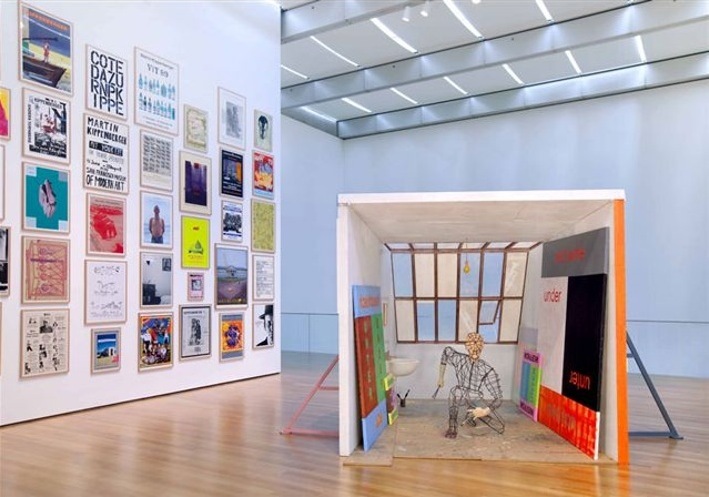 Two of Kippenberger’s large-scale installations are featured in the exhibition, Spiderman Studio on the sixth floor and The Happy End of Franz Kafka’s “Amerika,” arguably his most ambitious piece, in the second floor atrium. What’s fascinating to observe in the artist’s work is the deference he pays to previous masters (Spiderman Studio is a nod to Henri Matisse, for example, and the three 1988 self-portraits reference Picasso) while avoiding outright mimicry or derision. 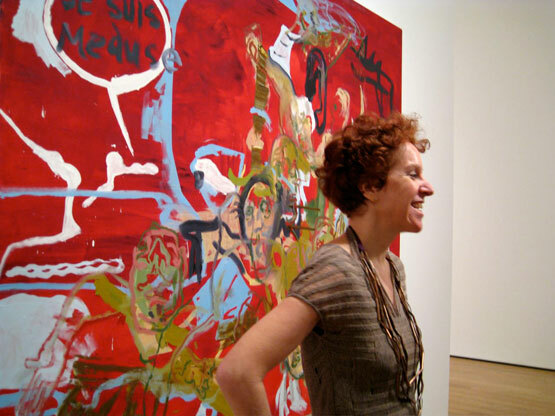 As critic Jerry Saltz noted, “he’s obviously battling with art history, especially the German variety,” but in a manner that is unique and distinctly influential to his own generation of artists. 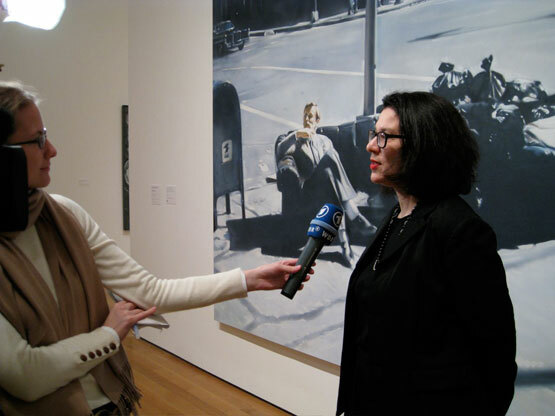 Video of MoMA’s retrospective exhibition, shot by Blip.tv. Martin Kippenberger, The Happy End of Franz Kafka’s “Amerika” (1994) at MoMA. This entry was posted on Tuesday, March 3rd, 2009 at 7:36 am	and is filed under Go See. You can follow any responses to this entry through the RSS 2.0 feed. You can leave a response, or trackback from your own site.